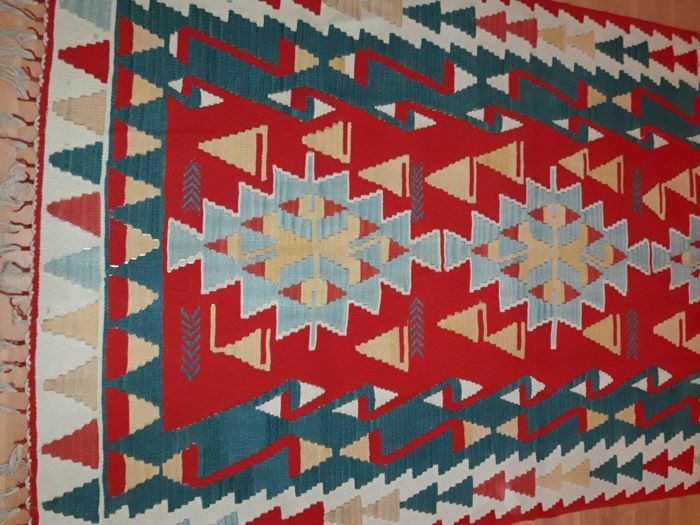 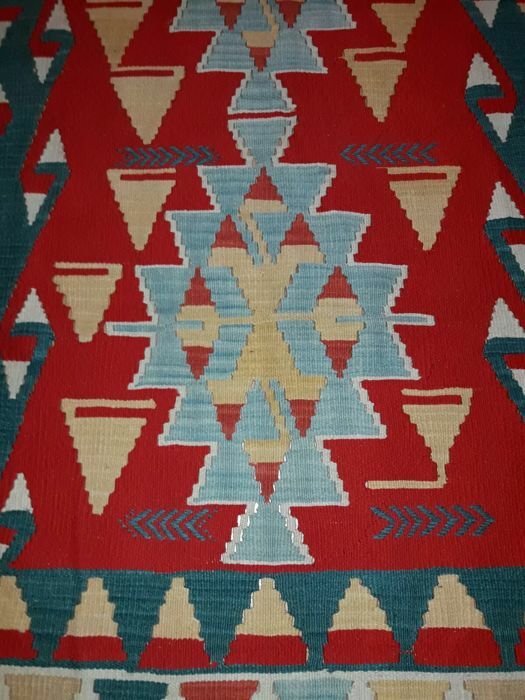 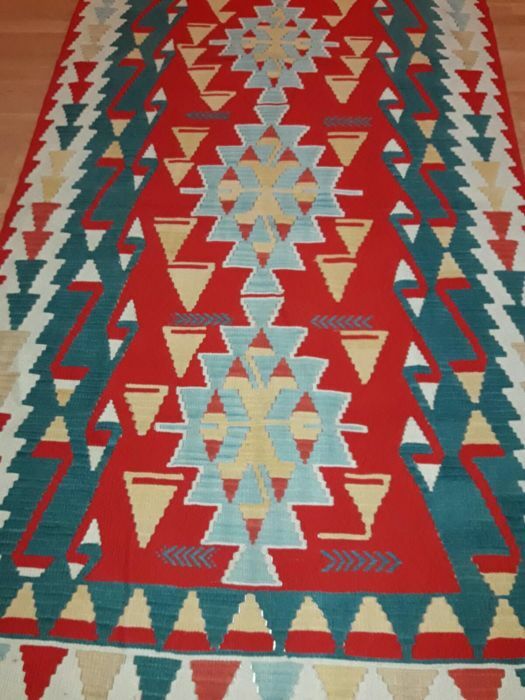 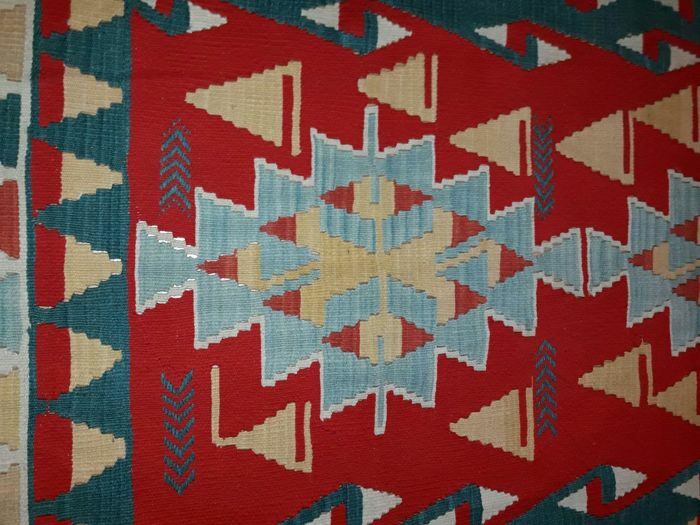 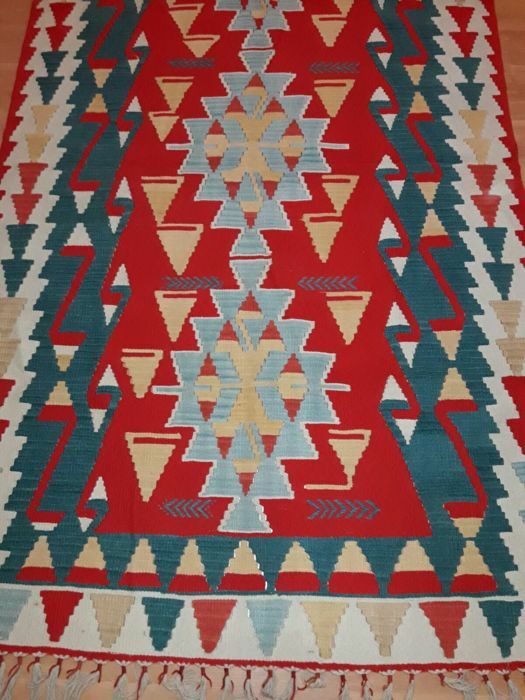 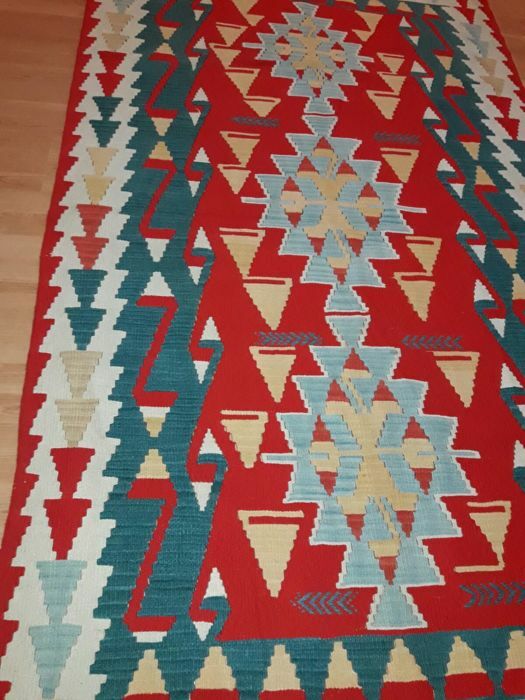 This is an approximately 5 year old kilim rug from Anatolia Kayseri, Turkey. 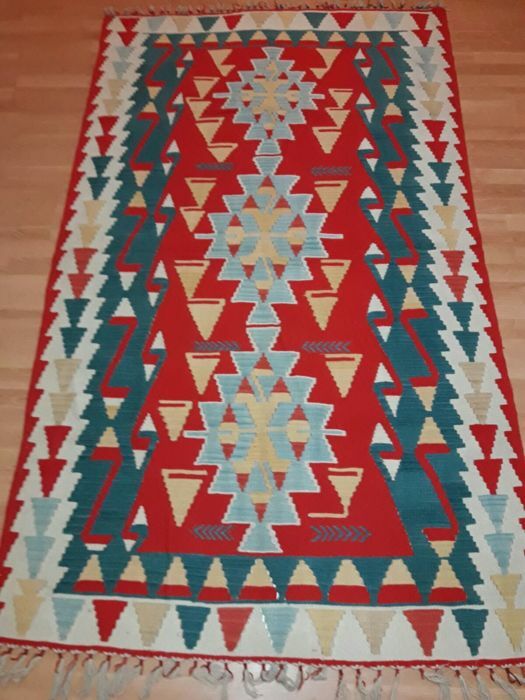 4.69 x 7.61 ft (143 x 232 cm). 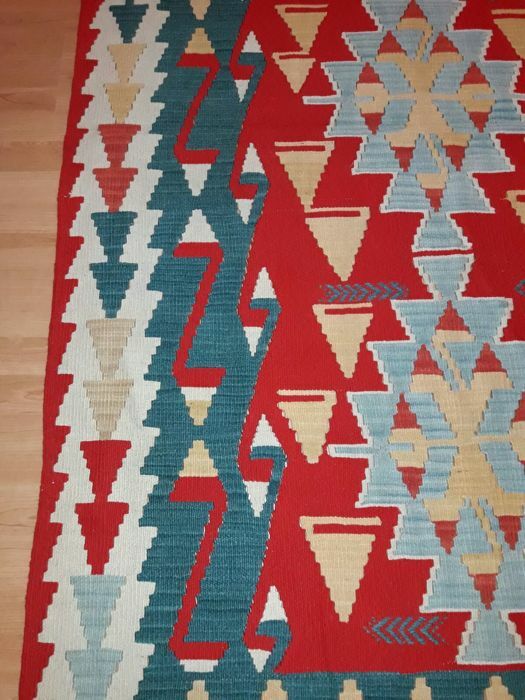 Made from handspun naturally dyed Anatolia Kayseri wool.